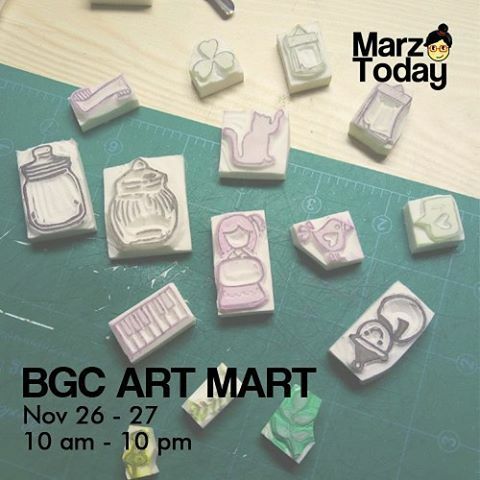 Marz Today will be at BGC Art Mart happening on Nov 26 - 27 (Sat - Sun) from 10 am to 10 pm on both days. 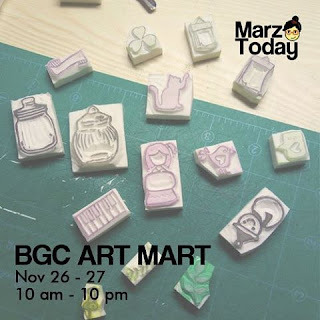 I'll be sharing booths with the wonderful Sha Erandio. Oh you'll love her doggie stickers and pins! 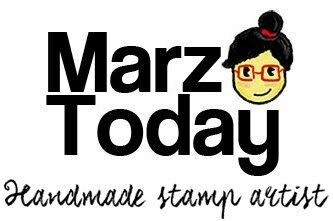 Stamps designed by Arts and Roses will also be available in limited quantities.